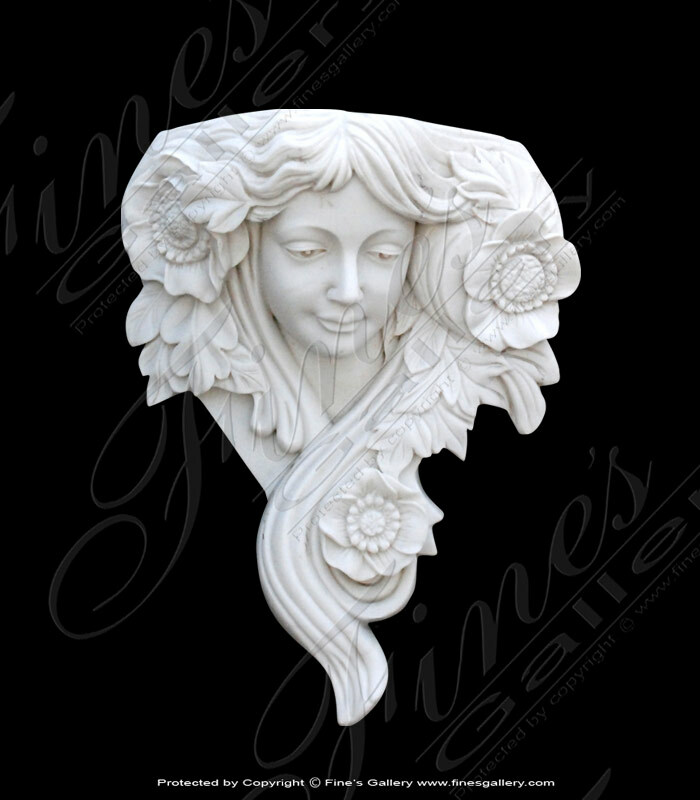 This lovely statue makes an excellent decoration, adding just the right touch of elegance to the surroundings. 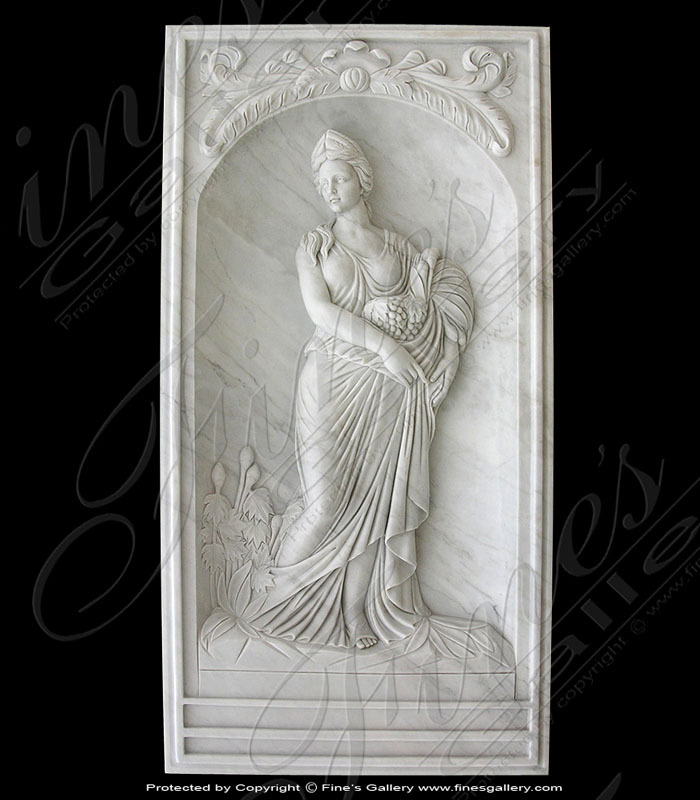 Finely hand carved in white marble is a beautiful lady collecting grape bunches. Call us today for a customized quote. 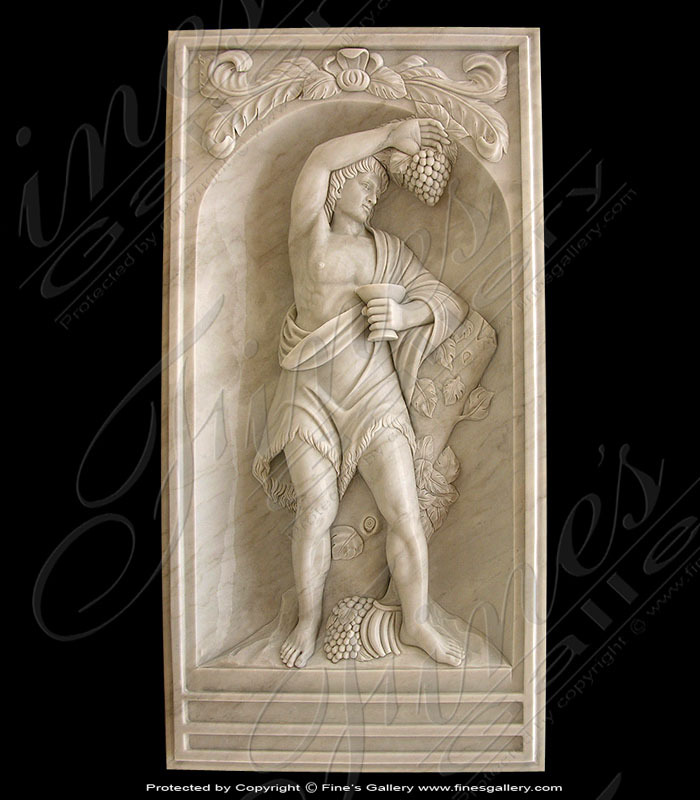 This finely detailed marble relief sculpture depicts a handsome young Greek man squeezing grapes into his glass. Indoor or outdoor, this will soon become a favorite treasure for its relaxing and joyful spirit. Contact us today for more information. 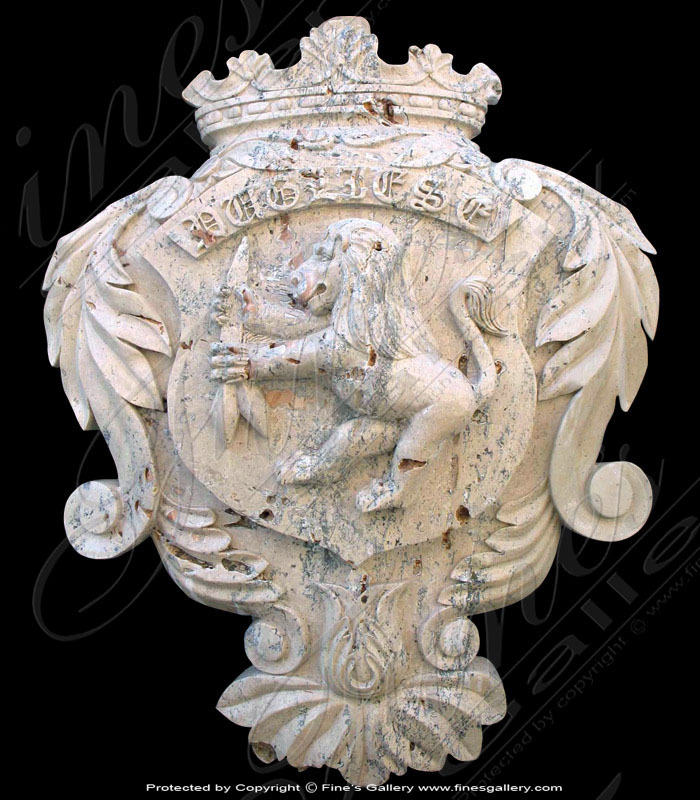 Antiqued Marble Coat of Arms Wall Relief. 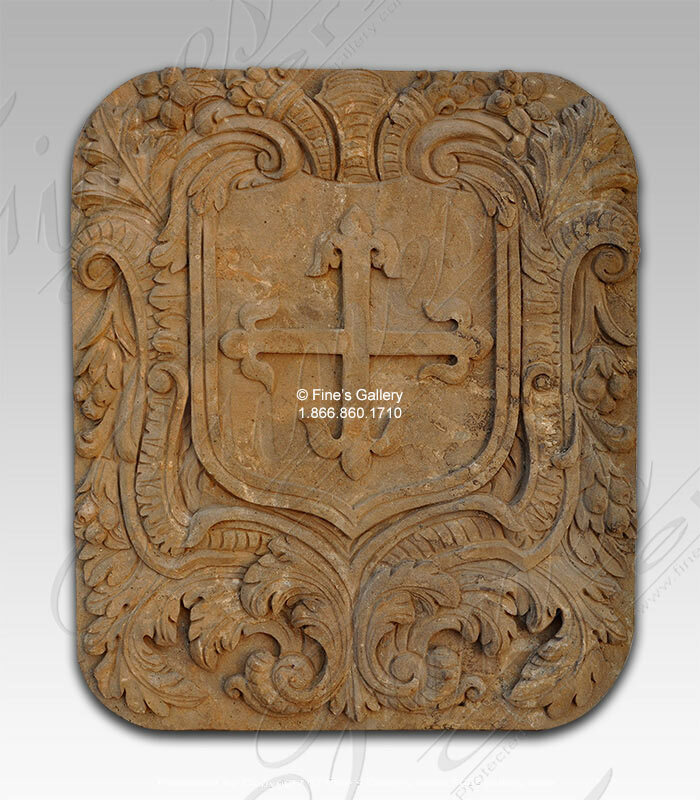 This fine architectural marble coat of arms was custom designed for a clients upscale home in San Juan. Contact us today for a quote for your home. We supply the entire Globe 24, 7! 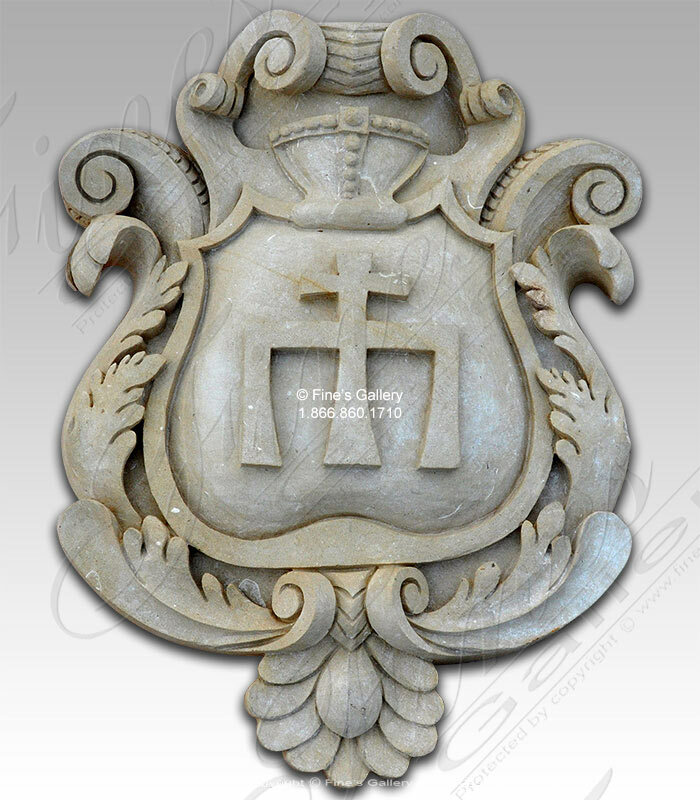 Italian Limestone Keystone Wall Relief carved from 100 percent natural solid italian quarried limestone. We can design according to your architectural plans. Contact our experienced staff for an estimate at 1.866.860.1710. International delivery daily. 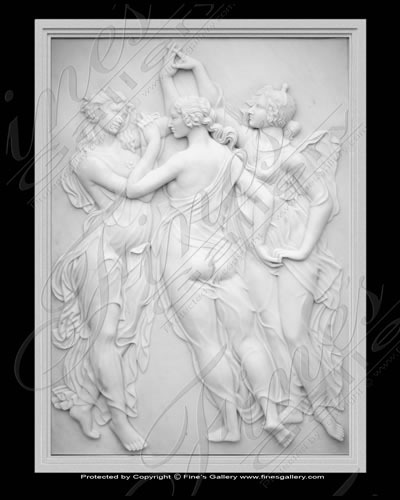 This incredible masterpiece is a hand carved marble relief depicting beautiful lovers in a passionate embrace. Every inch of this frame is crafted with time and care to bring you first class quality artwork for your home. Contact us today. 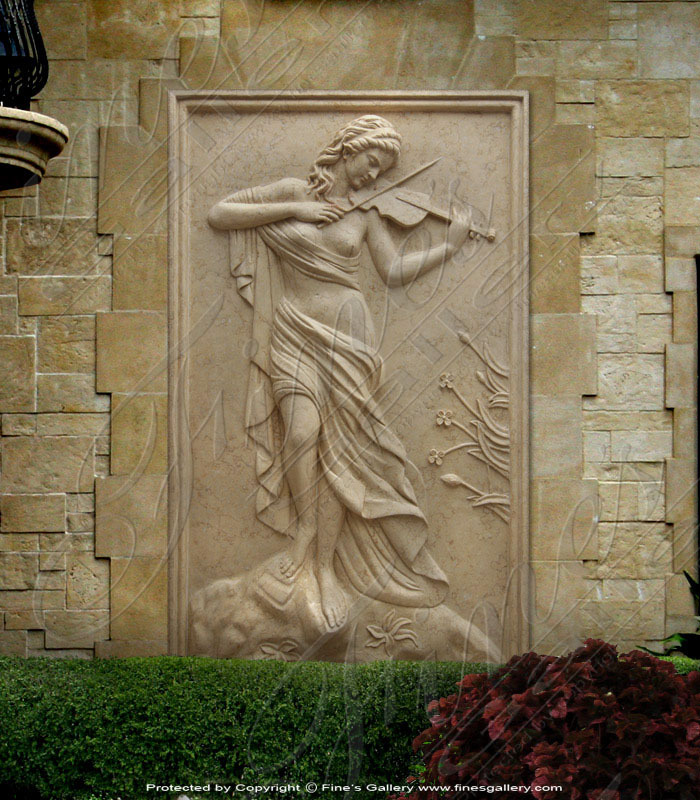 This beautiful marble carving depicts the intense joy that music from a violin can bring. 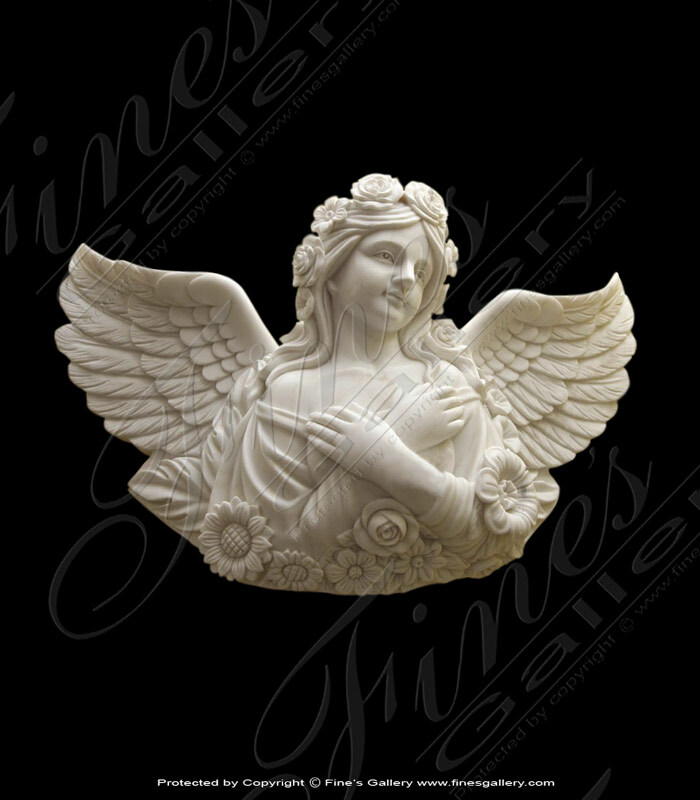 Posing gracefully as she plays her music, this gorgeous maiden is finely hand carved with artistic sophistication. Contact us for assistance. Thisincredibleartworkshows the strength and determination of the lion. 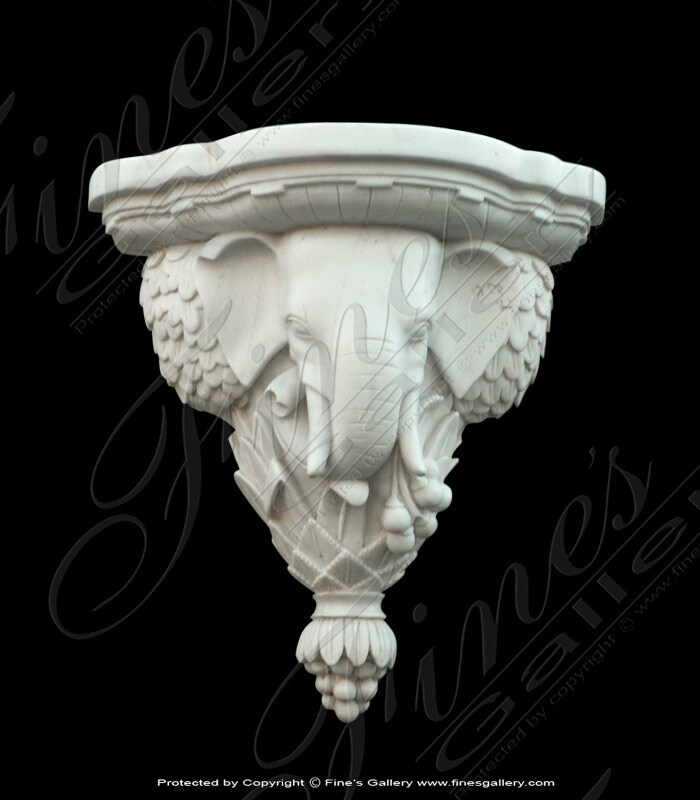 Beautifully carved with fine detail fromourpopularantique calcium marble, this piece will add a sense of luxury and opulence to the setting. Contact us for more details. 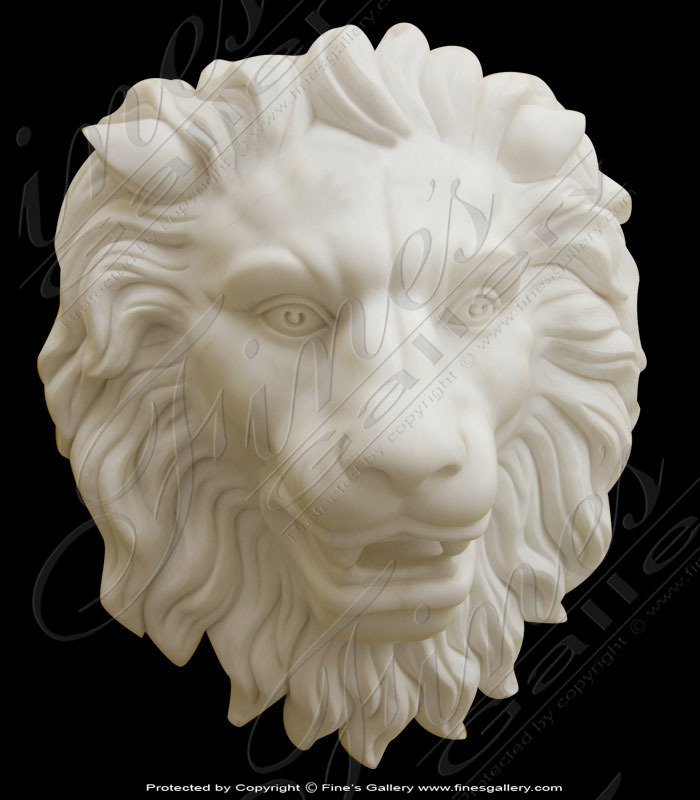 Thispolished white marblewall sculpture is a beautifully hand carved work of art featuring a majestic face and mane of a lion. With incredible life-like accuracy, it will truly be a favorite piece of your home decor. Contact us today. 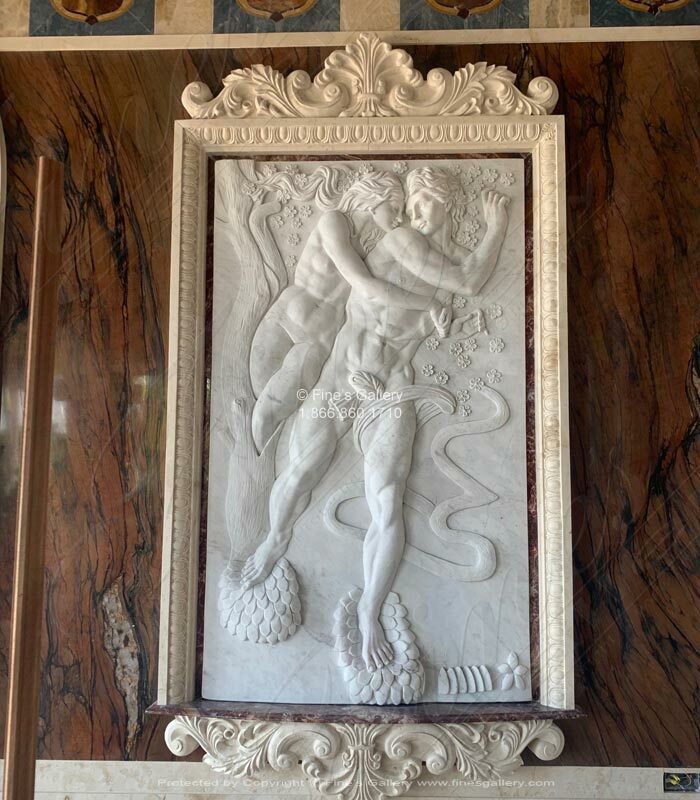 This dazzling white plate is made from fine Carrara marble and displays stunning mythical artwork. 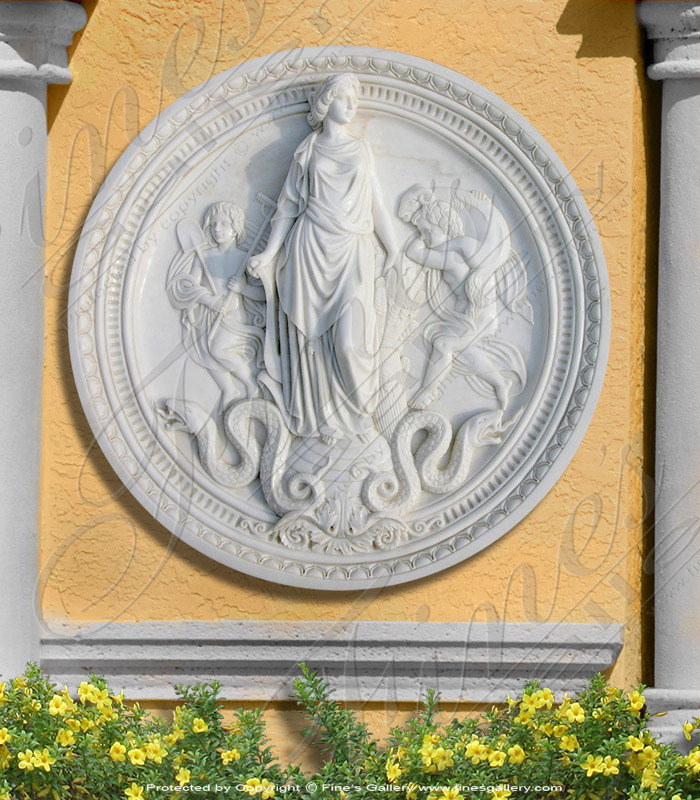 A beautiful female is center and surrounded by cherubs and snakes. Contact us today to customize this in size and color. 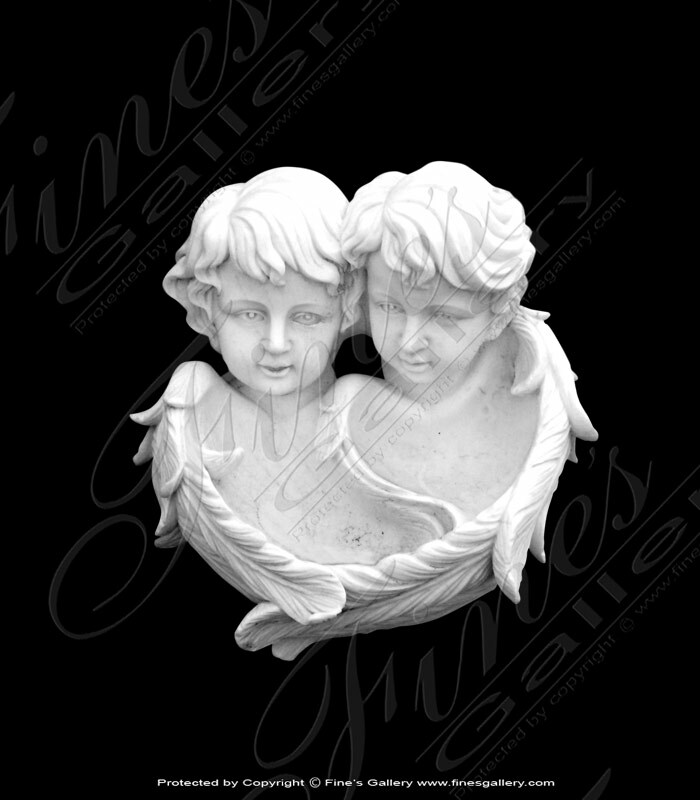 This fascinating little wall statue portrays a gorgeous angel bust in pristine white marble. Fine detail and impeccable artistry featuring outstretched wings, delicate hands crossed over her chest, and large flower decorations. Contact us today for info. 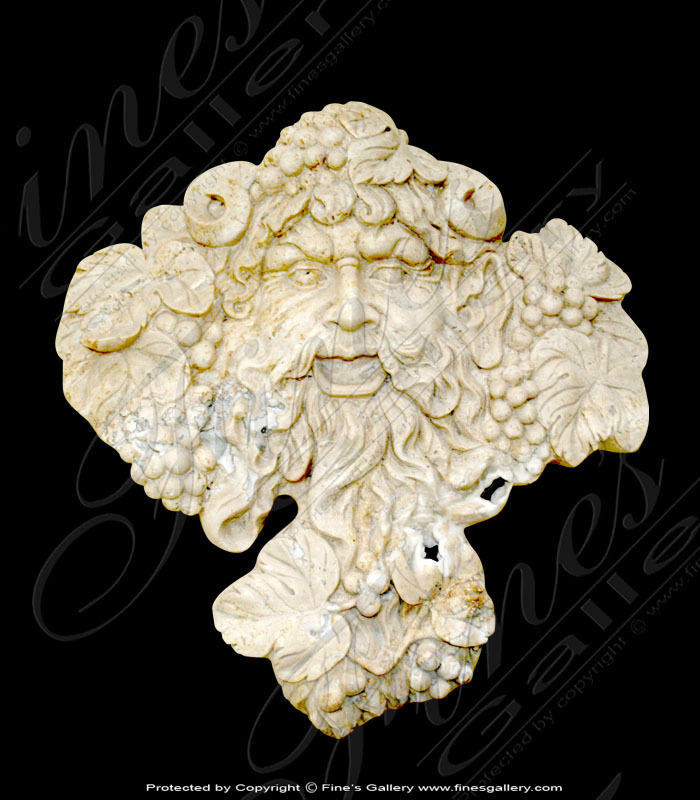 This decorative wall statue is made from our pure white Carrara marble and shows a mythical male face with grape vines throughout his long hair and beard. Can be made in any color marble you wish. Let our artists customize this piece for you today! 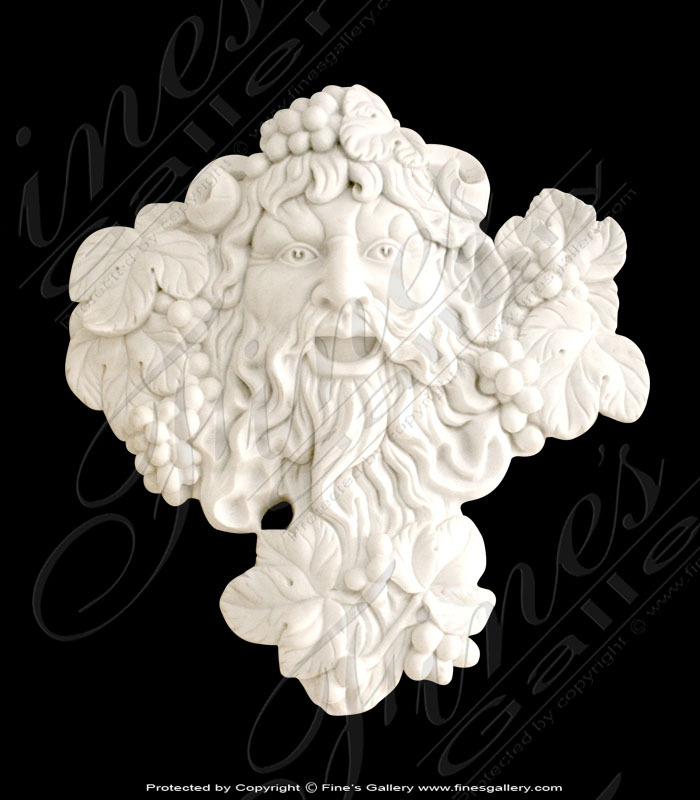 Another fine wall statue featuring a mythical male character with grapes around his face in an entertaining fashion. Made from our golden calcium for a delightfully weathered impression. Perfect for a garden wall!